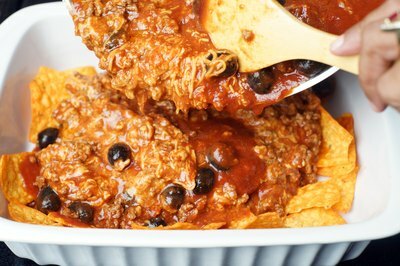 For a crowd-pleasing casserole, combine a bag of Doritos and browned ground beef with a few canned ingredients in a baking dish. Top it with sauce and shredded cheese and bake it for a few minutes. You can also elevate the dish with the addition of ingredients such as canned corn, chopped peppers and diced onions. 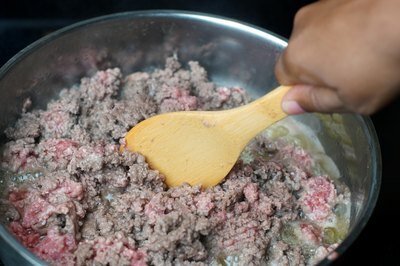 Brown ground beef in a skillet over medium high heat, stirring frequently until the meat cooks through. Drain excess grease from the pan and let the meat cool. Crumble a bag of Doritos into a large bowl, using your hands to break the chips into small pieces. 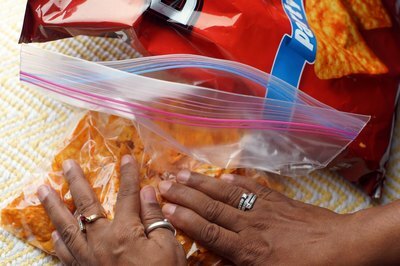 Or put the Doritos in a resealable plastic food storage bag and use your hands to crush the chips, then pour the crushed chips into a large bowl. Be careful that you don't turn the chips into crumbs. Reserve some of the crushed Doritos to top your casserole. Add tomato or enchilada sauce and shredded cheddar cheese at a ratio of 1 cup each to each pound of ground beef and stir to combine. 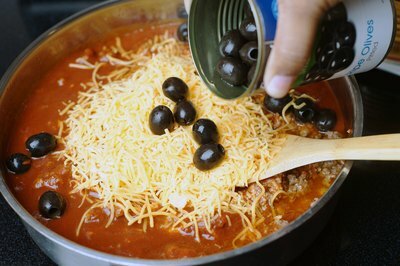 Add finely diced onion, chopped green pepper or black olives to the mix, if you like, stirring to combine. 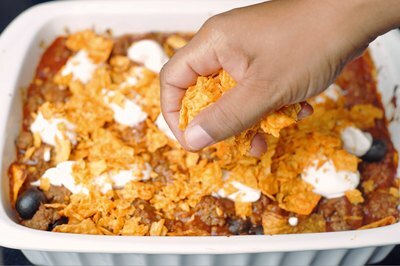 Pour the Doritos casserole mixture into a large baking pan, spreading it out evenly. Bake it for approximately 20 minutes. 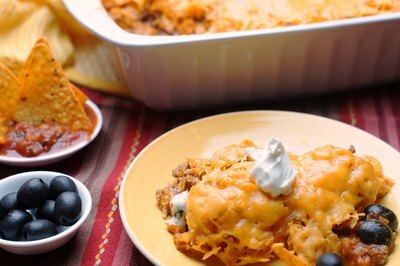 Remove the casserole from the oven and add a layer of sour cream, followed by a layer of crushed Doritos, then top the casserole with a generous handful of cheese. 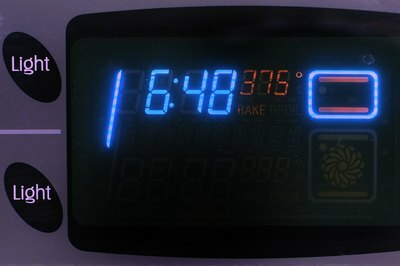 Bake for another five minutes, or until the cheese melts. Serve immediately with a side of salsa. How to make an easy taco casserole. Tips for adding flavor and saving time plus make-ahead options and toppings for serving. Seven different casserole dishes, from breakfast to dinner recipes, that can be made throughout the week.